Corel Painter Essentials 4 is not only a great art studio for home use but also good software for professionals. It is perfect for those who like to play around with their photos, tweaking them artistically, Essentials provides a deep toolbox under its intuitive layout. It features a good range of brushes, paints, pens and paper textures that enable you to add unique touches to photos, cards, scrapbooks and other fun projects. The program features two workspaces, Drawing & Painting and Photo Painting. The first is a standard image-creation template, while the second lets you upload a photo and “paint” over it. Interested in getting a free copy of Corel Painter Essentials 4? 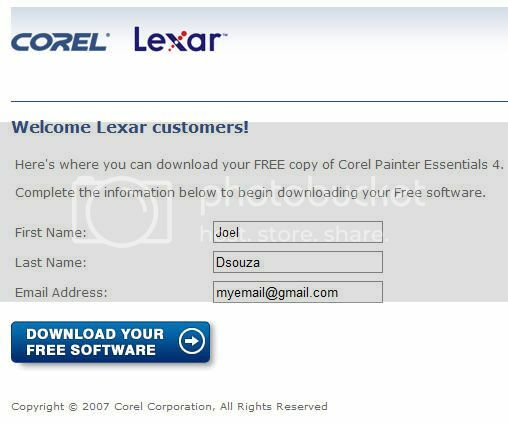 Click here to go to the promotion page and enter your name and email id and click on download to download the full version of Corel Painter Essentials 4.